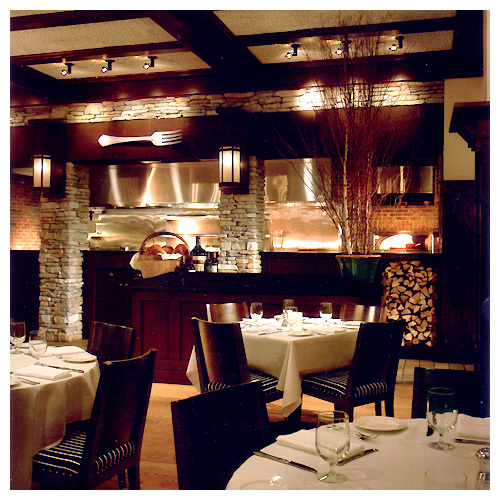 Mill’s Tavern, located in Providence, Rhode Island in the historic Pilgrim Mill’s Building, is Rhode Island’s only restaurant to receive a four star rating from Forbes (formerly Mobil) Travel Guide for a very impressive seven years in a row. Casual elegance with an old world charm welcomes you as soon as you enter. 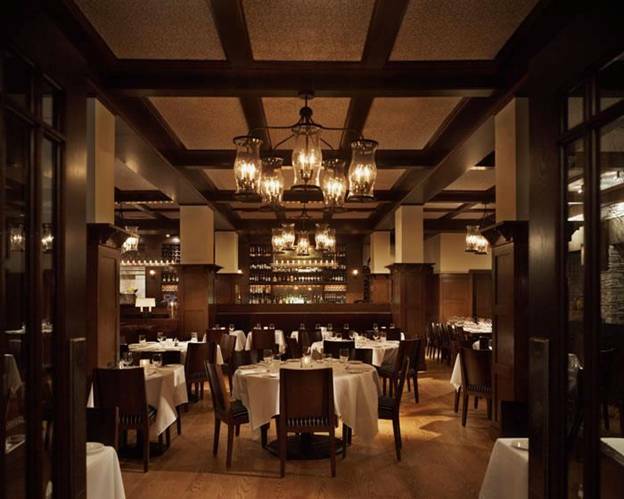 Architectural details like lantern style chandeliers suspended from the dark wood beams of the ceiling and the red brick walls add to the historic ambiance of this dining experience. 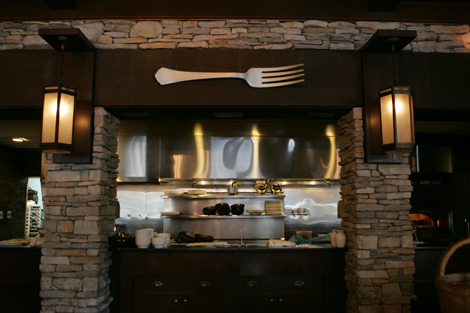 Custom stone work accents the open kitchen design and allows the wood burning oven to shine out over the dining room. 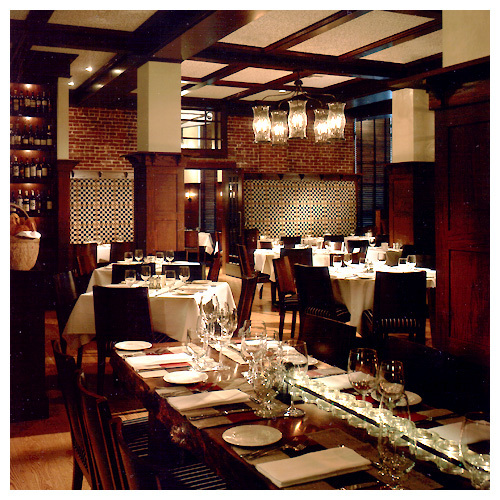 This atmosphere and décor of this dining room make you feel like you are enjoying fine cuisine in a classy and comfortable historic tavern. One of the things I love most about Mill’s Tavern is their unique menu. The menu changes with the seasons to incorporate the freshest seasonal ingredients into culinary masterpieces that will certainly satisfy your pallet. The raw bar, salads and side dishes are listed in separate section than the main dishes. The seasonal menu offers culinary masterpieces by Edward Bolus, Executive Chef, that are listed on the menu as being prepared “From the Pantry,” “From the Wood Burning Oven,” “From the Wood Rotisserie,” “From the Stove,” and “From the Wood Grill.” I had the salmon and my partner had steak and we were immediately impressed by the presentation and aroma as the server brought these fine creations to our table. The chef certainly takes the crafting of new ways to prepare our favorites with fresh and seasonal ingredients very seriously. This was just beyond anything my taste buds had ever experienced. Each season, Samantha Del Arroyo, Executive Pastry Chef, crafts new and exciting creations for the dessert menu. We each had the sinfully good Warm Chocolate Cake. The rich, warm chocolate oozing out of this chocolaty cake was beyond delicious. Oozing chocolate is a very good thing! 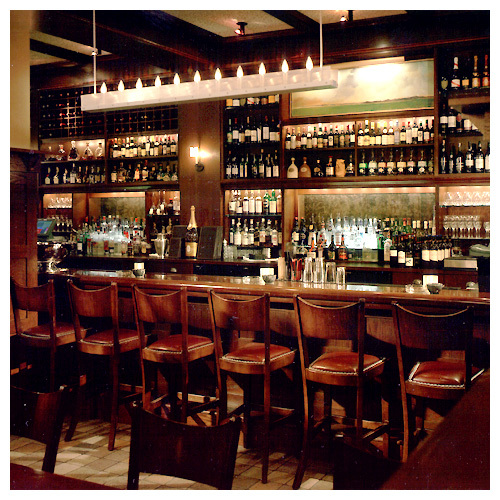 You can take full advantage of their regular menu selections in an a la carte style or you can utilize the Tavern Prix-Fixe Menu which allows you to choose one appetizer, a main course, and dessert for $29.95. Happy Hour Raw Bar Menu is Monday through Saturday from 5 to 8pm and Sunday from 4 –to 7pm. Gay & Lesbian Factor: As soon as we entered, my partner and I felt very welcomed. The old world charm of this place did not hold old world values. We were very comfortable doing some flirting on our date night. We were able to enjoy a romantic dinner in a very charming place, so I am officially outing Mill’s Tavern as well as gay and lesbian friendly!